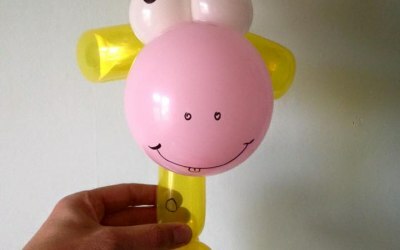 Stress free children's (3-7 yrs) birthday parties, with a funny show of comedy magic, juggling, slapstick, puppets and unicycling. 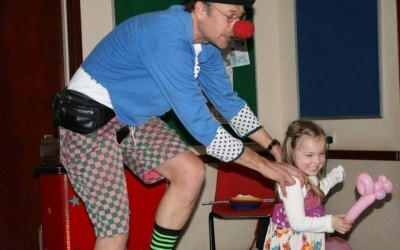 Hilarious entertainment for children (and adults) in the South West. 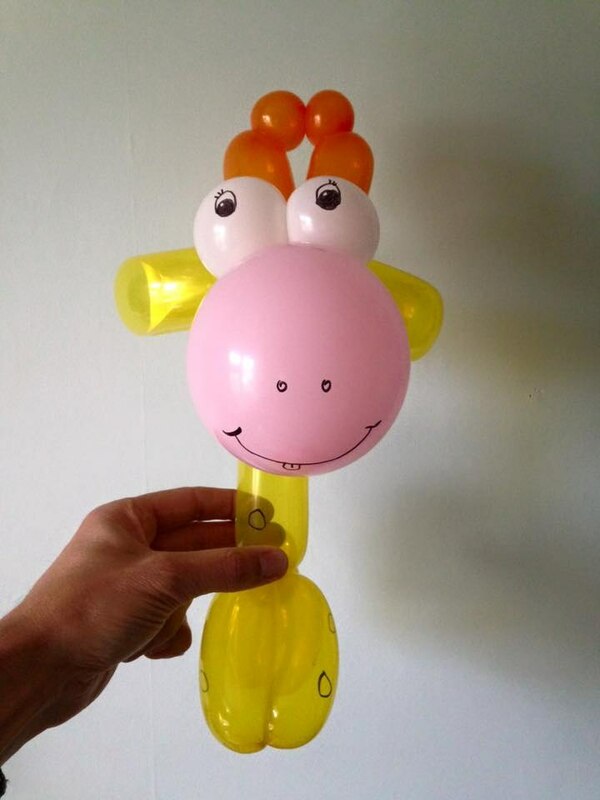 Stress free children's (3-7 yrs) Birthday Parties, with a funny show of comedy magic, juggling, slapstick comedy, puppets, balloon modelling, unicycling, party games and a bubble machine. I consistently get 5* reviews from my customers. 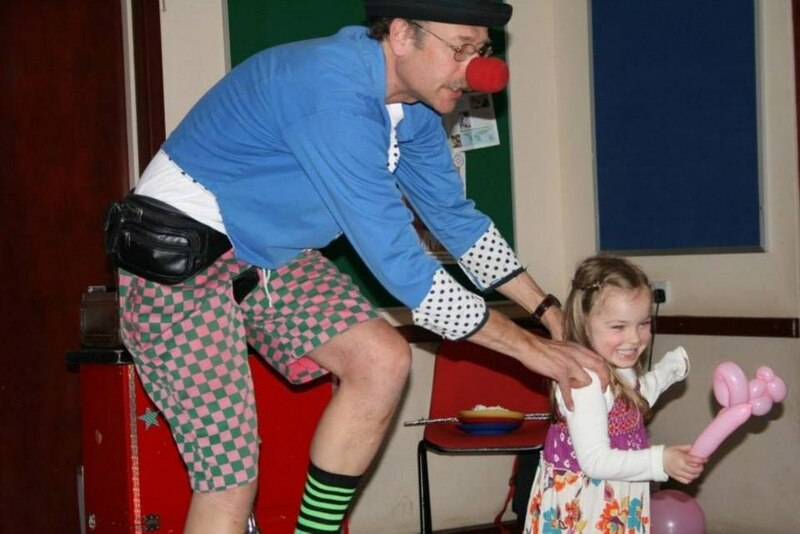 I have been clowning around for over 20 years now, entertaining children (and adults too) mostly at birthday parties, but also at hotels, fairs, holiday parks, schools, nurseries, shopping centres etc. Amazing show, the kids absolutly loved Professor Bumble. And he stayed even after the show to give gifts to guests and mingle. From start to finish the service Professor Bumble delivers is 5*. Communication leading up to the party was great. He arrived on time, was friendly and professional. 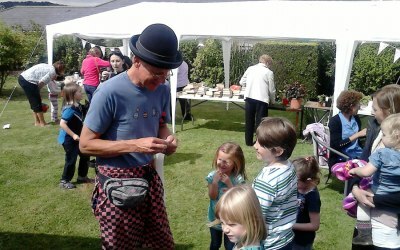 The whole party was a great success, he kept all the children......and adults too!! Entertained, involved and captured by his energy, humour and love for what he does. Everyone had a fantastic time. Would highly recommend! Thank you! Thank you Lisa. That’s a great review, I’ll put that on my website :) Best wishes, Steve. I could not recommend Professor Bumble highly enough. Enjoyed hugely by both kids and parents. 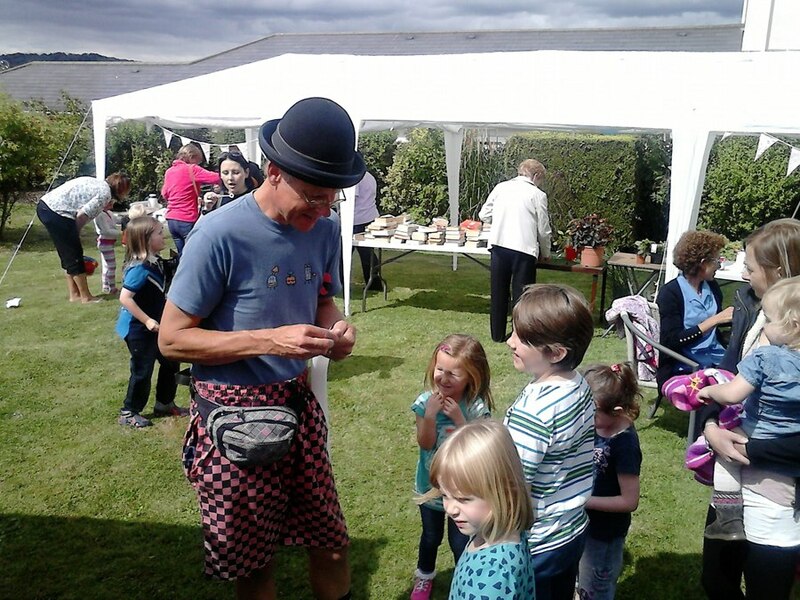 He was like the Pied Piper when he came in - all the children were instantly drawn to him. I think he may be made of magic. Communication was excellent. He even emailed a day or so before to confirm the booking and the details. He was professional, tidy and courteous. Book him. You won't regret it. Thank you Amy, that’s a lovely review. Very impressed, great entertainment for both children and adults alike. The age range of our party was from 2-9yrs. 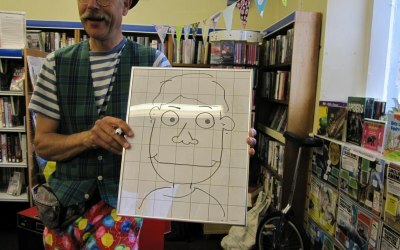 He was very good at keeping them engaged and entertained. Great value for money and I would highly recommend Professor Bumble. That’s super. Thank you very much Tamsin. All the best, Steve. Fantastic entertainment for children and adults! 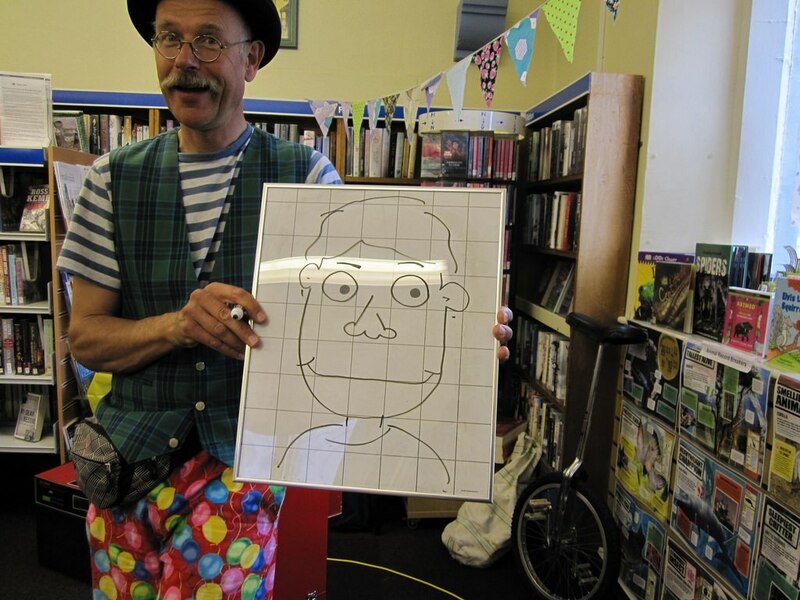 We were very impressed with Professor Bumble, the children were fully engaged for the whole hour and the adults enjoyed it too. We would highly recommend him for all parties and events and are looking forward to having him back next year for our next party. Thank you! Great show - thank you Steve! Professor bumble entertained a large group of kids at our wedding and they will not stop talking about how much they enjoyed it!!! He had the kids laughing their heads off and joining in with all his tricks. It was the highlight of their day. Thank you so much! The children were enthralled - actually so were many of the adults. The childrens laughter was a joy to hear. There were eleven children aged from 3 to 12 and Professor Bumble kept their attention the whole time. I would definitely recommend him. Kept all the children entertained. Get quotes from Professor Bumble and others within hours.